Did you know all full-time, Innovative-IDM employees are eligible to take up to 16 hours per calendar year to volunteer at a 501c3 charitable organization? Steve, Gina and Anabel sure did and they just got back from a successful event at MDA Camp. Way to go Steve, Gina and Anabel and thanks for representing Innovative-IDM at such a special event. Working with a company that’s been around for a while has many advantages. They will have seen it all and gained experience in various types of equipment and the problems that occur. If a firm has been around long enough, they will have knowledge, spare parts and documentation for equipment that is obsolete and in some cases, long obsolete. Having the endorsement of major manufacturers doesn’t hurt either. Dealing with repairs is only part of your job, so why work with a repair facility that makes it hard to do business? Online forms, a repair pick-up service and an efficient process from beginning to end makes it easier for you to maintain the equipment at your facility. Emergencies come up from time to time and it’s good to know where to send your parts when you need them repaired and returned fast. You have a part that doesn’t work – you don’t know why, what it will take to repair it or what it will cost. Is it worth repairing at all? Look for a company that can give real answers to these questions without it costing you more money. When you have equipment needing to be repaired and returned to production, the status of your repair shouldn’t be a mystery. Progress reports help you to plan on having your part out of production and when you can count on its return. Sometimes repairing the faulty component isn’t enough – you can get a chain reaction of components failing if they are not checked and repaired all at the same time. In addition to a complete repair, removing dust and dirt from the unit contributes to improved performance of your equipment. Make sure to work with a company that returns your equipment clean and fully functional. Wouldn’t it be nice if you could speak with the person who actually worked on your equipment? Technicians who are willing and able to discuss your repair and answer your questions should be on the checklist for your preferred repair facility. Work with a company who takes responsibility and is confident enough in the work performed that they are willing to guarantee it. High workmanship standards are paramount, which includes extensive testing of repaired equipment before shipment back to the owner. Find out what kind of testing equipment they use, how they measure performance before they determine that a part is fully repaired. When you take time to ship in a repair and count on that part to work when you get it back, the last thing you want is to open the box and find that your equipment has had a rough ride through the return shipment. A quality repair facility will make sure that your part is packaged to arrive at your door in the same working condition it was in when it left theirs. Click here for a great article from Parker’s Electromechanical Team on critical facts about HMIs. Topics include three main measures of HMI performance and what makes for a smart HMI. 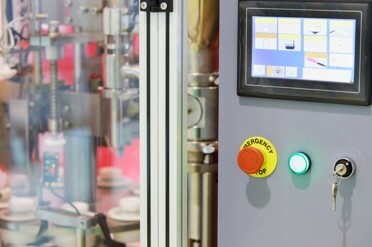 Ready to upgrade your HMI? Contact Innovative-IDM at 877.906.2100 or email us at info@iidm.com. Check out this cool video about Yaskawa’s Unified Robot and Machine Control solution for packaging automation. One software package to control every major component in a linear and robotic motion system. For more information about MotionWorks IEC to order your software, call Innovative-IDM at 877.906.2100 or email us at info@iidm.com. WAGO’s new Power Cage Clamp high-current terminal blocks make it possible to connect conductors with cross-sections up to 185 mm with spring pressure connection technology. They are vibration-proof and maintenance-free, without having to rely on preparation intensive bolts or clamping yoke connection technology. 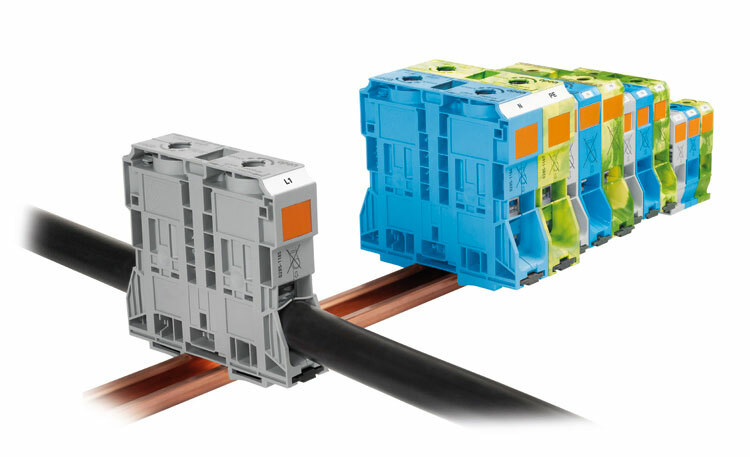 Not only does this save a lot of time during cabling, but the high contact forces ensure an optimal and gas-tight contact at all times. Specifying a pneumatic cylinder isn’t as hard as it might seem to be. There are a lot of tidbits of information that goes into each and every cylinder, such as mounting. Is it a clevis, a double clevis, is it a tie rod, is it an aluminum body, etc. There are a lot of different variations and there are specials. There are customized cylinders and many of our customers run into this all the time. The OEM of the machine will specialize a cylinder, and it might be something as simple as a different type of metal in the rod. It might be food grade oil in grease inside the cylinder. So, often you are able to get a functional replacement without having to go through the pains of developing every single last piece of information that might be about that cylinder. So, I’m going to give you a couple of quick ways to gather some information that you can hand over to your local IDM representative and we can go from there. The cylinder: Is it double acting, meaning does it have two ports where air goes in one and out the other ? Or is it single acting, meaning it’s going to have a spring in the back end which is actually going to push it back in. Operating Environment: Is it harsh conditions – such as is this out in a concrete plant, inside in the AC, washed down, or is it around food? There are a lot of different changes in a cylinder that can happen based on that. Operating Pressure: What are you regulating your pressure down to the cylinder through the valve, etc. That gets right here to the cylinder. This is also going to have an effect on how much force is required. This is very important. Let us know what type of operating pressure you’re using. Force: How heavy is the object you are pushing? How difficult is it? How long does it take to actually reach the full stroke? Etc. All of that is very important to us. Operating Speed: How quickly or often within a time period do you need to cycle through the cylinder? All of this information is great and helps us give you a very quick quote and solution to your problem. That’s it, that’s a cylinder. If you would like more information on cylinders or other pneumatic equipment please go to innovativeidm.com. Remember Innovative-IDM is Home of the Legendary Customer Experience. Yaskawa has introduced the U1000 Industrial Matrix Drive, it’s most efficient drive ever. The U1000 is second to none when it comes to power quality and energy savings. Enjoy extremely low harmonic distortion and regeneration in a compact design without the need for additional components. Unlike conventional drives, Yaskawa’s matrix technology creates a variable output by switching directly from the input power (no DC bus). Make measurable efficiency gains while experiencing the outstanding performance of a Yaskawa industrial drive. For a quote or more information about the new Yaskawa U1000 Industrial Matrix Drive, contact Innovative-IDM at 877.906.2100 or email us at info@iidm.com.